How Does Futures Trading Work? Commodity futures trade on the exchange floors and electronically. 1. How Do Stock Index Futures Work? 3. Can COMEX Default on Delivery? Futures trading offers a wide range of asset classes, active markets with tight spreads and low trading costs, and significant levels of leverage that provide the potential for large profits on a relatively small amount of trading capital. But there's a potential for serious losses if a new trader is not well prepared. Futures are standardized contracts for the future delivery of specified assets. Types of futures include agricultural products, energy products, precious metals, interest-rate products and stock market indexes. The buyer of a futures contract is entitled to receive the contracted amount of the asset -- such as 5,000 bushels of corn -- on a specific date. The seller of a futures contract is obligated to deliver that asset. Contracts trade on futures exchanges, allowing traders to buy and sell to profit from changing values of the assets. 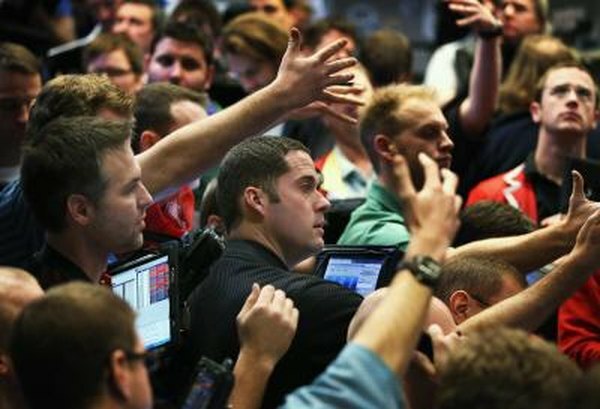 The active trading of futures is important in the price discovery of many types of assets. To trade futures, you need an account with a registered commodity futures brokers. Commodity brokers must be registered with the Commodity Futures Trading Commission and the National Futures Association. A futures broker will provide trading software, education, training and trading advice to futures traders. The level of assistance can range from providing software and online training materials, to actual trading guidance, to futures account management in which a commodities trading adviser handles the actual trading for investor accounts. A futures trade is initiated with a buy or sell order for the selected contract. The futures contract is purchased if the underlying asset is expected to increase in value or an opening sell order is used to profit from a declining price. The futures price when the order is placed is the starting value from where a profit or loss is calculated. In addition to completing the futures order, the broker will require a margin deposit amount for each contract traded. Futures margins are set by the futures exchanges and vary from contract to contract. For example, in late 2012 the futures contract for 1,000 barrels of oil required a $5,610 deposit, and the margin for 100-ounce gold futures was $7,425. As an example, you have purchased a gold futures contract with a contract price of $1,700 per ounce. The broker took the margin deposit of $7,425 from your account. Because the contract is for 100 ounces, the contract value is $170,000. The gold futures has a minimum price change -- "tick" -- of $0.10 per ounce. If gold increases by 10 ticks or $1, you have a $100 profit on the trade. At the end of the day, any profit is swept into your brokerage account. If the price of gold falls, the loss comes from your margin deposit. The maintenance margin amount for the gold contract is $6,750, so if your gold futures position loses more than $675, the broker will ask for more margin deposit. When Are Dow Futures Posted Over the Weekend?